"Almost two years ago I started working on GMK Honeywell. I was definitely more of a translator and less of a designer when it came to Honeywell. 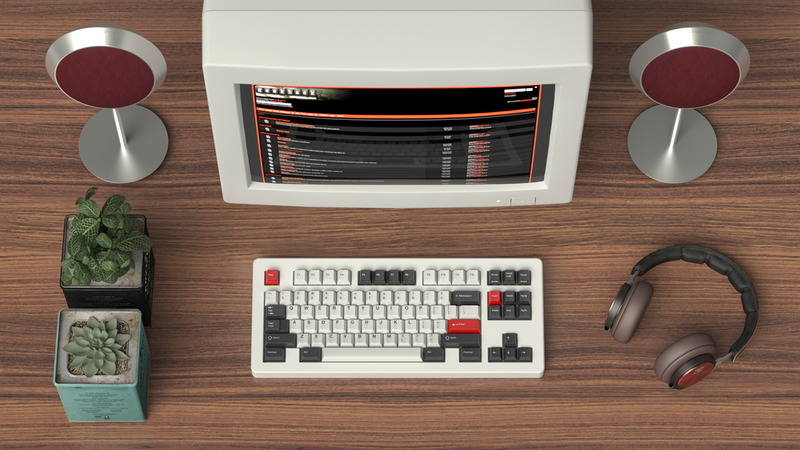 The Honeywell BTRM 121C-001 Terminal had the original keyboard that inspired the set. The keyboard was equipped with Hall Effect switches and gorgeous spherical caps. I still think it is the most beautiful keyboard ever made. Working with Sherry at Originative had always been, and still is, one of my favorite professional and personal relationships, so doing GMK Honeywell through Originative was a no-brainer. During the design process Sherry really pushed the set to levels that I originally never would have, notably getting the grey mod color perfect and not letting me use a stock GMK color as I was originally going to. The set was definitely a collaborative effort from start to finish." Honeywell had a highly successful run. It is a timeless set that can be translated into our ever expanding culture. It was voted, by the Deskthority community, as Keyset of the Year, and we plan to give it the respect it deserves. Andy and I would definitely like to thank the community for your generosity and continuous support! We definitely want to redeem the title. We're looking to bring some more old school on old school action. honeywell made the moq and is about to head into production. pre orders will still be up for a few days.